Great shot, as always! Love your blue sky, that's for sure!! Peregrine? Remember those bmx mags? Always wanted those when I was a kid. Nice shot, man. I think you are a good photographer. Nice shadow or should I say silhouette. Looks like another creative Yosemite shot to me. Great silhouette, so crisp it hardly looks real. I do love crows & ravens, so especially like this. Come and find out on how to become tall at my page. Beautiful and dark. 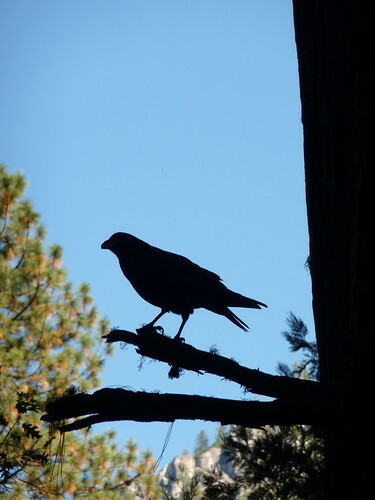 I love photographing birds,crows make a great mysterious subject. Wow amazing. How did you come up with your style? Was it naturally occurring, or did you pray?